Hello my friends! First, I want to thank all of you for the support and feedback on previous posts. I regret that it has taken me so long to write another blog post. There are a lot of upcoming major changes for my family. My husband and I made the decision to move to the West Coast to the Oregon and Washington area. My husband put in transfer papers with his job and was accepted to work in Portland, OR. We are excited because we will live closer too his parents. Unfortunately, I haven’t been able to do much sewing this month. I have been focusing much of my time packing, cleaning, and purchasing a home. It’s exhausting. As a result, I do not have much to share with you in regards to sewing. I do want to go into a little more detail about the sweater knit jacket that I made in February. I also found this really beautiful orange vintage wool and tweed coat at a local thrift shop for $2.00. Can you believe that? Actually, the shop was having a spring sale. Whatever you could fit in a plastic bag cost $2.00. So I was able to purchase this coat and two purple blouses. What a deal! So what I made in February? As I mentioned previously, I had very little time to dedicate to sewing after learning that I would be moving. So, I put many of my projects on hold. However, I did manage to make this stylish knit sweater cardigan. I made this cardigan using the McCall’s M7254 pattern. I actually started this project the last week of January, but I was unable to finish it. Although this was a relatively easy make, I would not suggest this pattern for beginner sewists. Mostly, sewing with knit fabrics can be very tricky, as well as sewing curves, and this pattern is very curvy. This pattern calls for a stretch fabric of some kind. I chose this beautiful silver and white sparkle sweater knit. It was on clearance at Hobby Lobby for $4.00 a yard. I needed about 2 1/4 yards of fabric and less than a yard of interfacing. This project cost about $12 in total. The interfacing was on sale so I got it for a steal. The only problem I had with this pattern was with the collar. The instructions say to buy medium weight interfacing. I would NOT recommend this, especially for a sweater type fabric. Because I chose a lightweight sweater knit material, the interfacing feels unusually stiff. In addition, the weight of the interfacing is so heavy that it makes the collar feel stiff and uncomfortable at times. I would most certainly go with a light weight interfacing or a heavier knit fabric, if I make this pattern again. Also, the instructions for the collar lack clarity. It took me about 2 hours to understand what I was supposed to do with the collar, even then I had to use deductive reasoning to figure things out. I was also unimpressed with the method in which the peplum was to be applied to the bodice and collar. The process was very lengthy and at times frustrating. I feel as though the instructions could have been much clearer and a better method could have been used to apply the peplum to the garment. With that said, I really love the fit, style, and general easiness of the pattern (with the exception of the collar). I would most certainly make this pattern again. The second sewing project I attempted to complete in February was a modern style 1950’s sheath dress. I was suppose to wear this dress on a Valentine’s Date with my husband but things took a turn for the worse when my son cut the dress. You all know the tragic story by now. If you don’t, you can read more about it here. About three-quarters of finishing this project my son cut the front of the dress with my thread snips. I was completely devastated and lost the motivation, temporarily, to continue with the project. It’s still not complete, and now that we plan to move I’m not sure it will get done before summer’s end. I was able to save the dress by taking the dress apart and basically starting from the beginning. 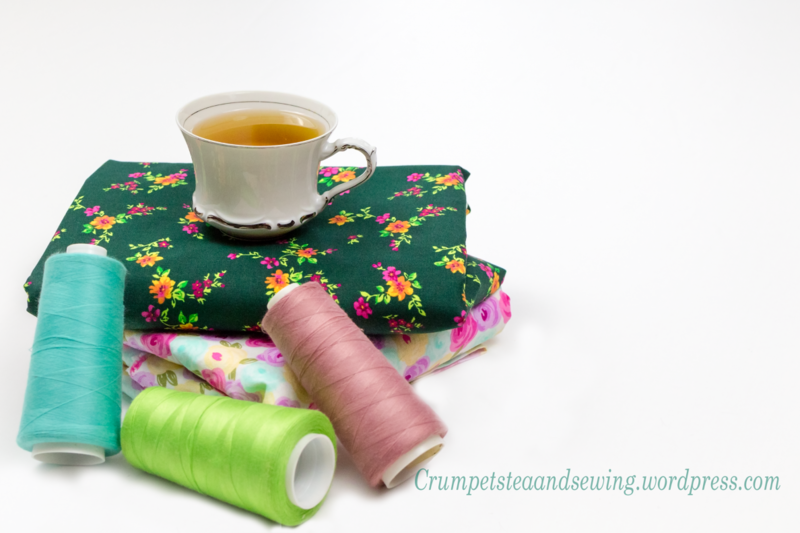 You can read more about how to repair damaged sewing projects here. I also plan to keep you all updated on the progress of this project, so stay tuned! I used the Burda Style pattern 7137. Although the style of the dress is simple and only has 6 pieces, the instructions on the tissue paper are terrible. I had a hard time making out which lines corresponded to whichever sizes. There were no instructions that indicated the meaning of the marks on the tissue paper. I guess Burda just assume people would know this information. I would not recommend this pattern for beginner sewists either. I would say this is more like an intermediate to advance pattern. For starters, there are 4 dart placements on the garment; there are darts going across the bust, down the sides of the dress, on the back of the dress, and at the shoulders as well. In addition, this pattern has a kickback pleat, Peter Pan collar, and cuffs on the sleeves. I definitely think that this would be overwhelming for a beginner sewist! A beginner may be comfortable using this pattern if he/she omit the Peter Pan Collar, Pleat, and/or cuffs. I’m a little sad that I have not been able to complete any of the sewing projects on my make nine list. There is still time in the year to complete them. Let’s hope that the move will go smoothly and that I will be able to get everything organized before summer. Until then, I will keep you posted and do my best to update my Instagram and Facebook accounts regularly. If you are not following me on these social media platforms, head over and give me a like and follow. Thanks for your support! Posted on March 16, 2018 March 16, 2018 by TeaPosted in UncategorizedTagged sewing, vintage. Previous Previous post: Tips for Mending Cuts in Fabric! Welcome to the Pacific Northwest (PNW) Tea! I love taking the train down to Portland (PDX) when I can. Thanks for sharing your makes during this busy time. I love your thrifty find, it looks snazzy on you. The tips on your knit project will be helpful forsure. As for the Burda dress project , you could colour block the bottom of the dress where the cuts are in the same fabric you’re using for the collar? and perhaps accent the sleeve cuffs too? Hope you can come back to it. It looks like it will be lovely.